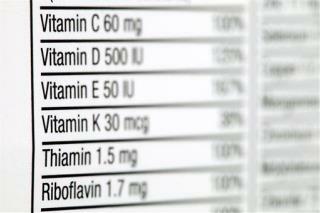 "Clinical guidelines should be changed to reflect these findings"
(Newser) – Vitamin D supplements aren't what they are cracked up to be when it comes to improving bone health and preventing breaks. So says a new study that looked at data from 81 controlled trials that involved more than 53,000 people, CNN reports. "Our meta-analysis finds that vitamin D does not prevent fractures, falls, or improve bone mineral density, whether at high or low dose," says lead author Mark J. Bolland of the University of Auckland, adding that "clinical guidelines should be changed to reflect these findings." Vitamin D helps regulate the amount of calcium and phosphate in our bodies, per the BBC. Most of our vitamin D comes from exposure to sunlight. Healthcare providers have long recommended people take vitamin D supplements for a variety of reasons, such as improving bone density in older people and ensuring sufficient vitamin D intake during fall and winter months. Synthetic vitamin D [D2] is useless just like any synthetic the body immune system will attack as a foreign substance. Most of these "authoritative" studies focus on synthetics. D3 is what the body makes from sunshine. Draw your own conclusions.